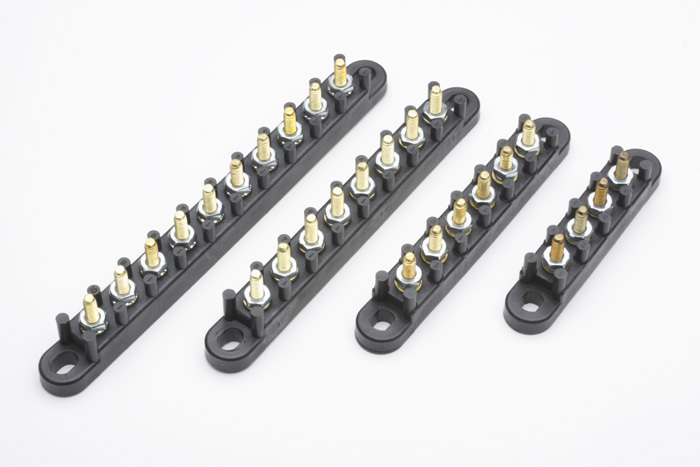 This Terminal Block has BRASS studs with a 10/32 thread are designed for easy threading of the nut. Studs are 5/8" center, 30 amp and available in 4 sizes. Terminal Block, Studs 10 / ea. Terminal Block, Studs 4 / ea. Terminal Block, Studs 6 / ea. Terminal Block, Studs 8 / ea.